Bo Sullivan grew up in a 200-year-old house in a 300-year old-town that had been forgotten by time. The son of a preservationist/antique dealer and a scientist-turned-old-time-hardware-store-owner, Bo spent his teen-age years digging up bottles and bits of china and exploring cobwebbed attics and abandoned garages. After graduating from North Carolina State University School of Design with an architectural degree in 1988, Bo spent twenty years as a senior designer and architectural historian for Rejuvenation, where as part of his work he developed and managed Rejuvenation’s research archive of over 4,000 rare original period trade catalogs, plan books, photographs, sales samples and other ephemera related to the American building arts from 1870 to 1970. 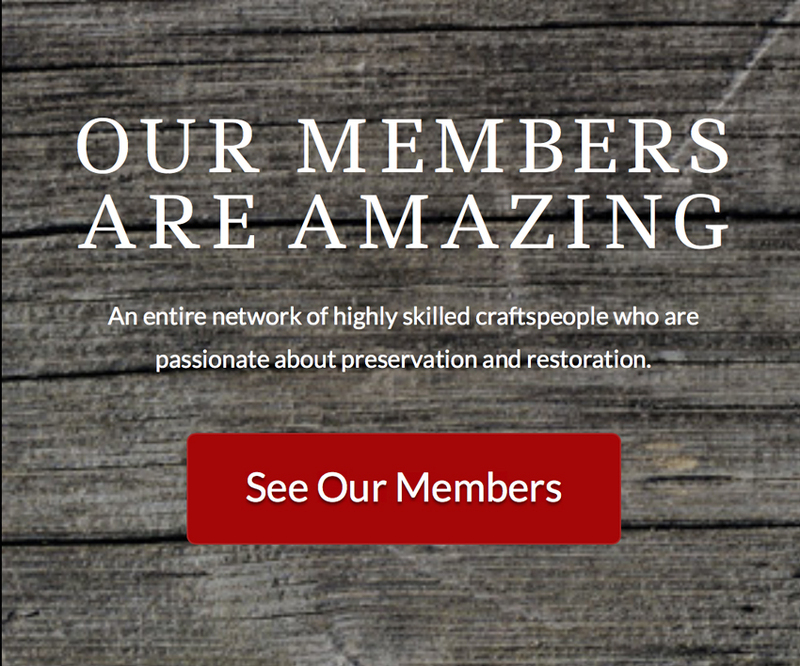 Bo is also the founder of Arcalus Period Design, a consulting resource established in Portland, Oregon in 2009 for old-house owners, preservationists, architects and design professionals engaged in projects with a deep and meaningful connection to history. Deeply embossed and richly colored, these rolls looked just like actual tooled leather, with burnished metallic highlights and hand-brushed stain finishes that were breath-taking in their beauty. The seed of Bo’s wallpaper obsession had been planted. In 2012, that slowly sprouting wallpaper seed got a big pile of fertilizer dumped on it in Western New York with the acquisition of not one, but two remarkable collections from families of long-passed wallpaper installers – hundreds of original wallpaper rolls from the 1880s through the 1920s. Having invested a small fortune, Bo needed to figure out a business that could take advantage of his bounty. He launched Bolling & Company in 2013. Bolling & Company is the country’s singular source for rare, surviving, museum-quality original American wallpapers from the 1880s through the 1930s. Offering papers as installable rolls when quantity allows or as authentic remnants that can be purchased for framing or creative projects, the company specializes in one-of-a-kind mounted and ready-to-hang wall décor in contemporary and traditional presentations. Bolling & Company also offers custom reproduction and consulting services on historic wallpapers and inspired period interiors. Gwen Jones joined Bolling & Company in 2016 after leaving Gracewood Design, a floorcloth company she co-founded in 2004. Gracewood Design creates and produces the largest selection of hand-made floorcloths available anywhere, with designs ranging from Early American to Op Art, with an emphasis on Arts and Crafts styles. “Birge is our muse, and really the reason we exist. One of Western New York’s leading wallpaper dealers and decorators since 1834, Martin Howland Birge and his sons George and Henry started printing their own line of wallpapers in Buffalo in 1878. Setting out to establish a new level of style and sophistication in a rapidly growing market, M.H. 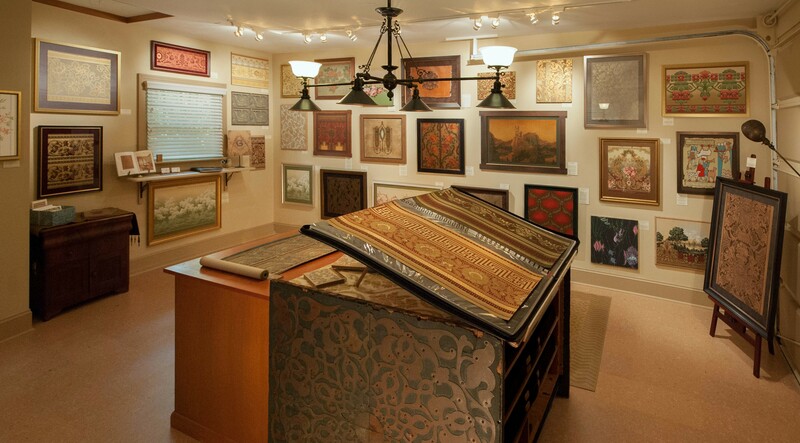 Birge & Sons quickly established themselves as leaders in the field, introducing important manufacturing advancements in flocked and bronzed papers, as well as some of America’s first coordinated room sets where sidewall, ceiling, borders, and frieze were designed to match and be used together. Birge reveled in its role as an outsider in an industry centered around New York City and Philadelphia and survived the wallpaper trust wars of the 1880s and 1890s, as well as two devastating factory fires in 1880 and 1894 to emerge as the leading independent wallpaper company in the country in 1900. 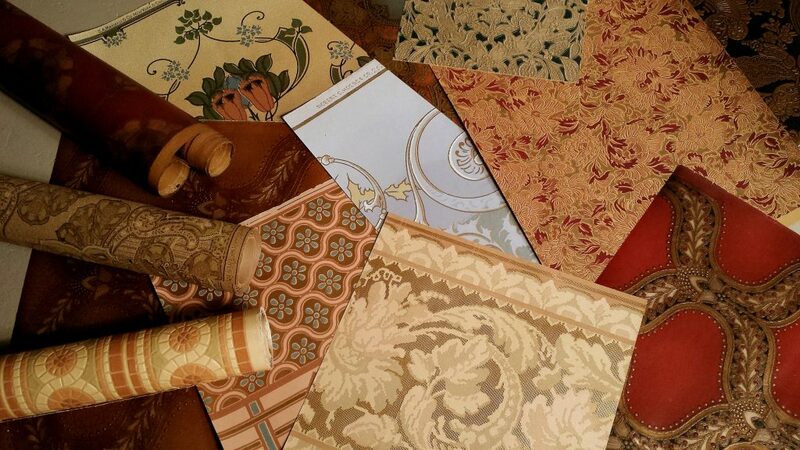 During the first 15 years of the new century, Birge issued some of the most artistic papers and most expensively produced catalogs available, making their name with their line of block-printed “leather papers” that were embossed and brush-finished by hand to resemble the richest and most luxurious wall treatments of the 15th and 16th centuries. In an industry and decorative art field dominated by English and European manufacturers, Birge was really the only American company to establish itself as a player in the market across the Atlantic. Achieving a coup with the installation of Birge papers in Windsor Castle, Birge opened a London office and showroom on the famed Berners Street in 1907 and distributing its papers in Britain, France, and Germany. Following the First World War, Birge launched a new chapter in its history with the hiring of a little-known watercolor artist named Charles Burchfield, who would go on to become the company’s design director in 1927 before leaving to pursue his legendary art career in 1929. For many years the oldest wallpaper company in the United States, Birge remained a leader in the industry and a family-owned company through the Great Depression and Second World War until 1959, when it was sold to Canadian Wallpaper Manufacturers, Ltd. and consigned to a long and sad corporate decline through uninspired mismanagement and a series of sales to bottom-line driven conglomerates. Birge moved out of its Buffalo factory in 1976 and went out of business in 1982. The site of the old Birge factory is now a McDonald’s. Though so much of the company’s legacy no longer exists, we hope that our singular collection of their original papers will help new generations come to discover and appreciate a name most have never even heard of – Birge. 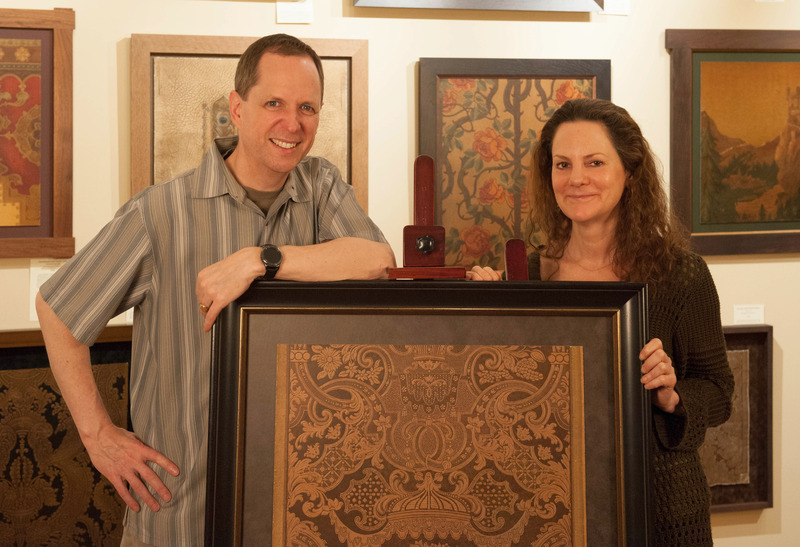 Bolling & Company honors and re-purposes spectacular original Birge wallpapers along with an extensive selection of other museum-quality examples from companies like Robert Graves, Janeway & Carpender, Carey Bros., Fr. Beck, and Wm. Campbell, most of which are American and were produced from the 1880s into the second half of the 20th century. Bolling & Co is located in Portland’s Concordia Neighborhood at 6107 NE 32nd Place in Portland, Oregon.